Propeller CRM offers innovative features that help you transform your entire sales operation. From automated sales emails and prospecting campaigns to visual pipeline management, data-entry-free reporting, and advanced sales analytics. You get a full suite of tools that will help your team close more deals with confidence. Create and run personalized email outreach or prospecting campaigns on autopilot. 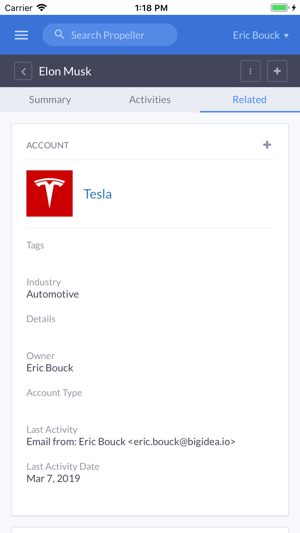 Schedule multi-step messaging with integrated analytics, custom send windows, and more. Our Gmail sidebar is the perfect companion to your sales conversations. 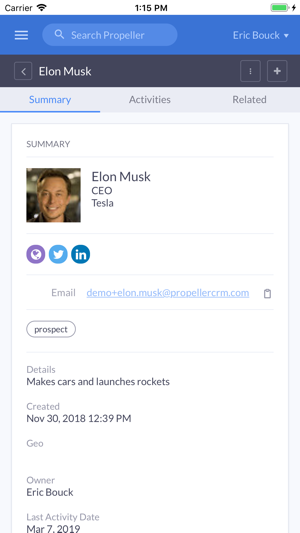 Access contact functionality, create opportunities, and update your pipeline with just a click. 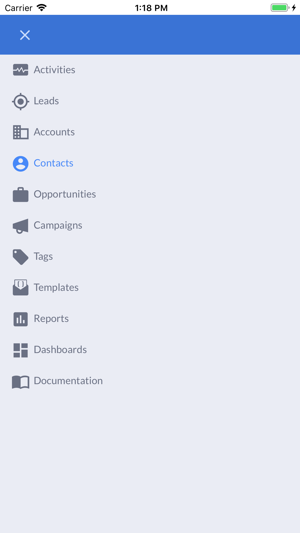 Then, expand the sidebar to gain access to your entire CRM and all of the other functionality when you need it. 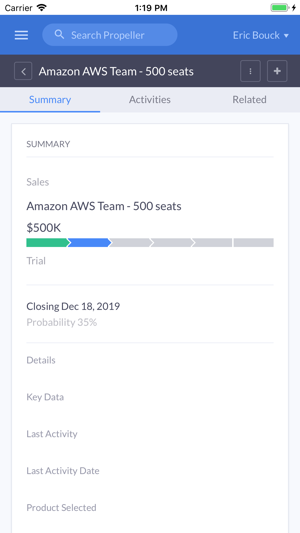 Grow your pipeline in real-time and manage it with Propeller. Get a visual look every deal that’s in progress and forecast growth and revenue without a second thought. 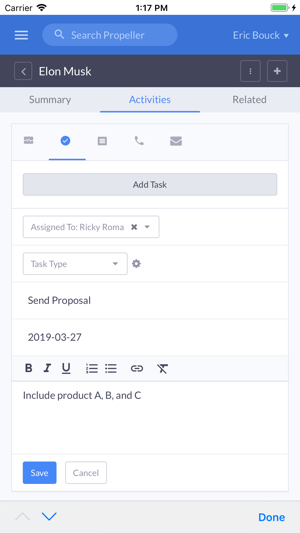 Manage, assign, and complete your tasks. Plan out every conversation and follow-up email so you’ll skip a beat or miss an opportunity.